The importance of perceived autonomy support for the psychological health and work satisfaction of health professionals: Not only supervisors count, colleagues too! Previous studies show that supervisors’ autonomy-supportive style predicts greater psychological health (Baard et al. in J Appl Soc Psychol 34:2045–2068, 2004; Blais and Brière 1992; Lynch et al. in Prof Psychol Res Pract 36:415–425, 2005) and lower psychological distress (Deci et al. in Personal Soc Psychol Bull 27:930–942, 2001). The goal of the present study is to extend these results and investigate the contribution of colleagues’ perceived autonomy support in the prediction of health professionals’ work satisfaction and psychological health. The combined impact of supervisors’ and colleagues’ perceived autonomy support is also examined. A sample of 597 health professionals from the province of Quebec (Canada) completed a questionnaire, which included measures of perceived supervisors’ and colleagues’ autonomy support and outcome variables. Results confirm that supervisors’ and colleagues’ perceived autonomy support predict health professionals’ work satisfaction and psychological health. 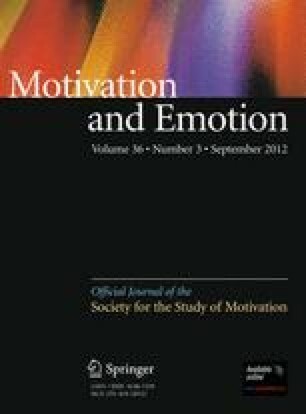 Results also show that colleagues’ perceived autonomy support adds to the prediction of health professionals’ work satisfaction, subjective well-being, and suicidal ideation above and beyond supervisors’ perceived autonomy support. We would like to thank all health professionals who participated in the present study for their time and cooperation. We also want to acknowledge the “Ordre des dentistes du Québec” [Quebec Order of Dentists], the “Ordre des médecins vétérinaires du Québec” [Quebec Order of Medical Veterinarians], the “Fédération des médecins résidents du Québec” [Quebec Federation of Medical Residents], the “Association des étudiants en médecine dentaire de l’Université de Montréal” [Dental Students Association of the University of Montreal], the “Association des étudiants en médecine dentaire de l’Université Laval” [Dental Students Association of the Université Laval], the “Fédération médicale étudiante du Québec” [Quebec Federation of Medical Students], and the “Faculté de médecine vétérinaire de l’Université de Montréal” [Faculty of Veterinary Medicine of the University of Montreal] for their help with the data collection. This research was facilitated by doctoral scholarships from the Social Sciences and Humanities Research Council of Canada (SSHRC), the “Fonds québécois de la recherche sur la société et la culture” (FQRSC) and the “Institut de recherche Robert-Sauvé en santé et en sécurité au travail” (IRSST) to the first author and funded by a grant from the FQRSC to the second author. World Health Organization (2009, October). Mental health: A state of well-being. Retrieved November 16, 2009, from http://www.who.int/features/factfiles/mental_health/en/index.html.